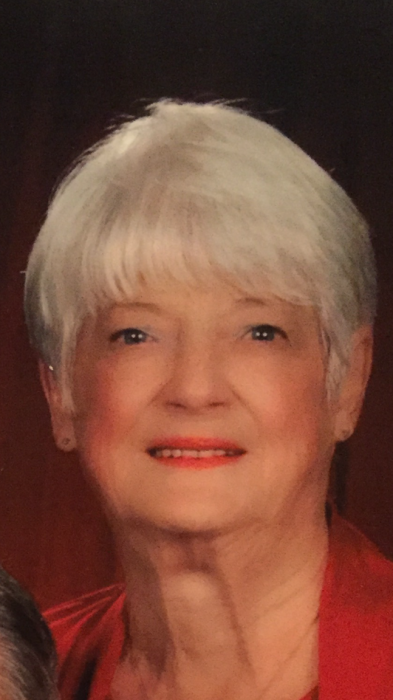 Donna Margaret Bothfeld Bagwell, 81, of Mauldin, wife of the late C. Fred Bagwell, died Monday, February 12, 2018. Born in Fort Sheridan, Illinois, she was a daughter of the late Charles and Florence Smith Bothfeld. Donna was an avid traveler and enjoyed bowling, gardening and photography. She was involved with the Hejaz Shriners of Greenville and was a Guardette with the Provost Guard. She was a proud cancer survivor. She is survived by three daughters: Cheri Free, (Brad); Frieda Calvert (David); Kimberly Barton (David); son, Bill Bagwell; eleven grandchildren: Lyndsey Walden, (John), Kari Perry, (Eric), Megan Hughes, Drew and Jonathan Bagwell, Shane Bagwell, (Socorro), Allen Ferkovich (Meghan), AJ Ferkovoich (Ashley), Nikki Hicks (Merit), David Barton, Jr. (Kristin), Christie Barton, Amber Bowhay (Chasen); twenty great grandchildren, with two on the way; a sister, Leane Martin, (Phillip); and her dog, Cinnamon. Donna was preceded in death by a son, Art Bagwell. Visitation will be held on Thursday, February 15, 2018 from 6:00 until 8:00 p.m. at Thomas McAfee Funeral Home, Southeast and the funeral service will be on Friday, February 16, 2018 at 1:30 p.m. at the funeral home chapel. Burial will follow at Graceland East Memorial Park. Memorials may be made to the Shriner’s Hospital at https://www.shrinershospitalforchildren.org/greenville or Greenville Humane Society, 305 Airport Rd., Greenville, SC 29607.